calendar - How to display the width of items in the user diary does not necessarily correspond to the time - New and Fresh Private + Public Proxies Lists Everyday! 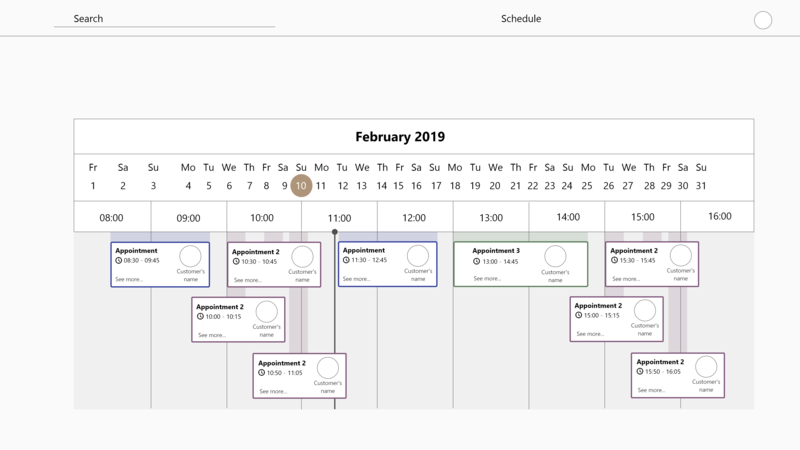 I am currently designing a calendar for a web application that will show appointments as they are scheduled. The problem is that, in order for the user to understand the appointment scheduled in advance, certain important information must be displayed (title, time, customer), appointments whose duration is too short must have a different width. than the time that they represent. My question is this: how to make it clear to the user that the width of the appointment is not enough? necessarily match the time? I am open to all kinds of suggestions! Next Next post: [ Politics ] Open question: Do Candace Owens and George Soros run their own races?